Mainly known for a run on the internet competition, Tumblr's Drag Race, Sunday Lush has been on a journey of self discovery and learned lessons. She is determined to change people's perceptions of her and prove herself as a performer worthy of recognition and praise. 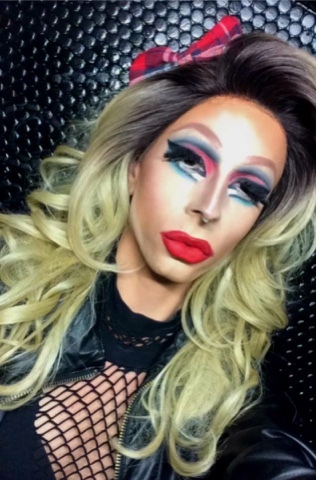 She's also looking to be treated as an individual, as every drag artist should be treated. 1. Who is Sunday Lush? This is the hardest question that people ask me, because she’s such a complex character, and so different than the person I am on a daily basis. But, to summarize her, she’s the catholic schoolgirl of drag, fighting to remain pure in the eyes of God and battling temptations. It’s interesting because I never thought in a million years that I would be doing drag, I actually used to be disgusted by the idea of it. But my ex boyfriend was a makeup artist, he used me as a little makeup experiment for his class, and I became obsessed with the idea of being someone else. The rest is history. For about the first 6 months of my drag “trial period,” I didn’t name myself, because I wanted to really explore what I wanted Sunday to look like, to act like, and to dress like. The name came to me out of nowhere right before I went to bed one night. Sunday comes from my Sunday school background, and is also the Christian Sabbath. Lush was an old MySpace name I had in middle school, when being emo was cool. I combined the two and it worked really great. Sunday has a holy and positive meaning; while Lush has a negative connotation, and that was the exact oxy moron I was looking for. It has changed every single facet of my life. It changed my outlook on life, it changed the way I act, it changed my creative process, and it really changed the amount of money I have in my bank account. There have been a lot of dark moments that drag brought upon my life, but in general it’s all been super positive and I’ve grown so much from the change. 5. Where did you learn to do your makeup? I was blessed to have been around people who worked in the cosmetics industry, so I got a lot of tips and products through them. But as far as makeup application, I just sat down and practiced practiced practiced. Makeup is the one of the most important parts of drag for me, so I spent a ton of time figuring out my face, and what worked best with it. 6. 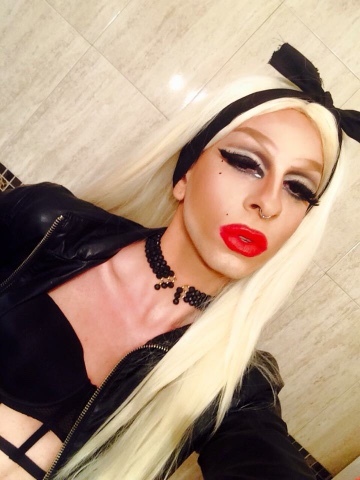 What is your main goal that you want to accomplish during your drag career? Honestly if one person said that Sunday Lush has inspired them, or helped them, or has changed their aspect on life, then I would have reached my goal in drag. 7. If you had one last song to perform, what would you choose and why? I have this strange conspiracy theory that “Baby One More Time” by Britney Spears is a song about faith and religious belief, and because of that it has become my signature number. So I would perform that song, it’s what she’s most known for. 8. How would you describe your experience with Tumblr's Drag Race? It was probably the worst drag career move I’ve ever made. It was one of my first times show casing my work to the online world, and I just wasn’t ready. 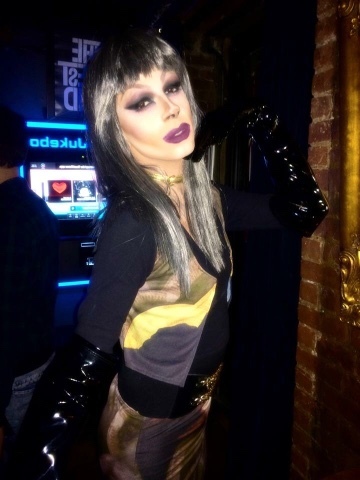 I thought I was better than what I actually was, and it was a mixture of that and that intense scrutiny of that environment that made me question why I was doing drag. But I ended up finding myself on my own without that competition. And I learned valuable life lessons. 9. How have you dealt with hate comments thrown your way? 10. What is your view on getting compared to other more well known performers due to similar aesthetic or performance style? Has it ever happened to you? It happens to me probably more than anyone else. I think it’s the most discrediting and degrading thing you can do to an artist. It’s funny because the people I get compared to, I started drag before them, and created my character before them, it’s just they got more exposure before I did. I pride myself everyday that I created a character that no one else has; no one in the drag community is Sunday Lush, POINT BLANK! People just see that I perform songs from a certain artist, and compare me to other queens that have performed to that artist as well. But that doesn’t give you the right to say I copied someone. If I look different, perform different, dress different, and present the subject matter different, it is not copying. 11. If you could speak to those people who have the wrong perception of who you are, what would you say to them? 12. What is the most misunderstood thing about the drag community through your eyes? I think people are confused of what being a drag queen, and what being a trans person means. I think it’s super important to educated yourself and understand what both things mean. Because when people come at me with ignorance, I don’t handle it well. 13. 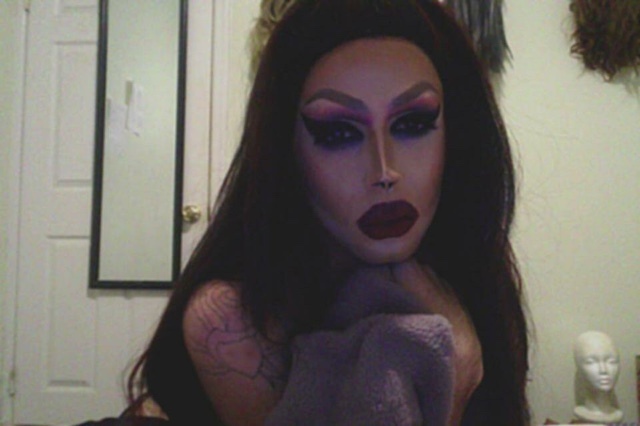 Favorite/ least favorite thing about drag? Favorite thing is being able to escape reality. Least favorite thing is dealing with a lot of the unnecessary negativity. A lot of people don’t know that I come from a conservative Italian Catholic family. I have a huge catholic school background that has molded my drag character. Many people don’t know where that comes from. 15. If there was something that you could ever give up for the sake of doing drag, what would you choose and why? This is an emotional question because I’ve already given so much for the sake of drag. At this point, I have nothing less to lose.